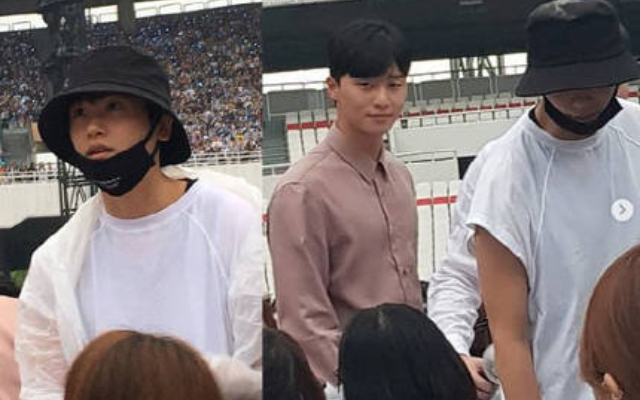 Army has caught Park Seo Joon and Park Hyung Sik attending BTS concert. 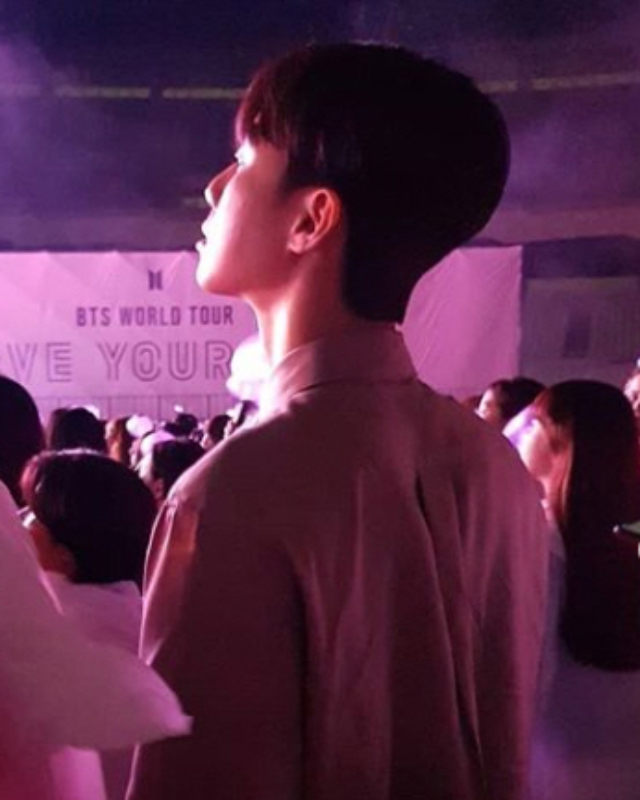 Park Seo Joon and Park Hyung SIk were spotted in BTS’s concert hall in Jamsil Stadium in Seoul in 26th of august that has become the talk of the town. 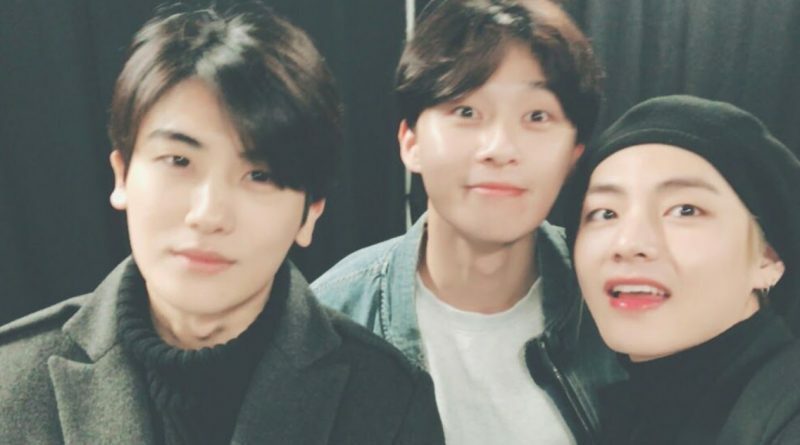 The two of them are known to have a special friendship with BTS member, V. Park Hyung Sik ,Park Seo Joon and V has become close friends since they worked together for KBS drama ‘Hwarang’ in 2015. Park Seo Joon’s tall figure and comfortable clothes has captured army’s attention through his appearance. 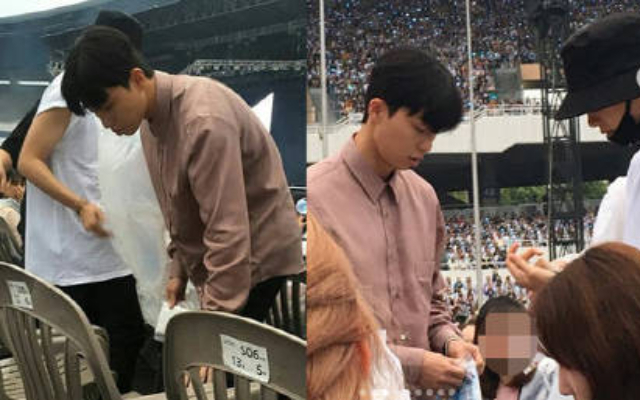 Park Hyung Sin in the opposite was seen covering his face with black mask and also a hat but Park Seo Joon was really easy to spot by the fans. The two of them were seen attending the concert and cheer up for BTS till the end of the show. V also showed his grateful by doing the eye contact with Park Hyung Sik and Park Seo Joon in the middle of his performances. V is currently buy with overseas activities of BTS, Park Hyung Sik had finished his drama KBS ‘Suits’ and Park Seo Joon recently just ended his popular drama ‘Why Secretary Kim’. In one of his interviews, Park Seo Joon state dthat Taehyung (The real name of BTS V) is always monitoring then (Park Seo Joon and Park Hyung Sik) despite his packed schedules. He also said that V has been keeping his eyes on them starting from watching ‘Suit’ and ‘Why Secretary Kim’ and also Taehyung showed them love and support by sending coffee truck gift. They also showed their support on V by attenting the show. According to Park Seo Joon, V often gave them a little cute threat and told them to not come to his concert. Park Hyung Sik in one of his interview also said that Kim Tae Hyung is like the connector between them that is full of spirit. 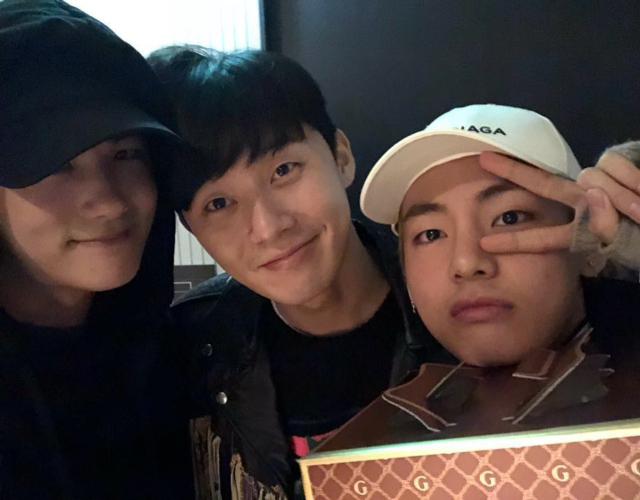 Park Seo Joon and Himself (Park Hyung Sik) aren’t the type that often to keep in touch but thanks to V who always keep the chat group lit and always ask them out to meet up and have dinner, the three of them ended up meeting each other. Meanwhile, BTS is currently showing its image as the global idol group by attracting 90 thousand audiences in their concert BTS WORLD TOUR ‘LOVE YOURSELF’ that was held for 2 days from 25th to 26th of August.